There are already two Holidays in the NBA. Next season, there’ll be a third. 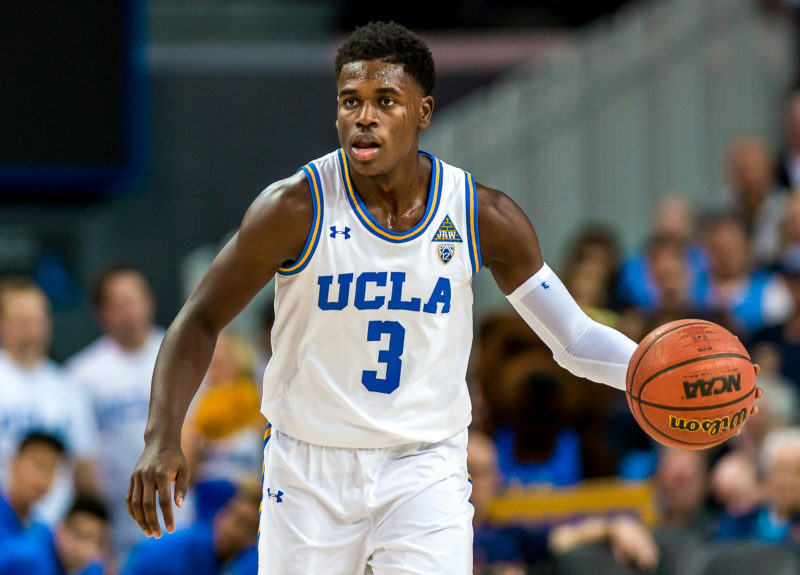 Aaron Holiday, whose older brothers Jrue and Justin are established NBA players with New Orleans and Chicago, respectively, is a slam dunk to be one some NBA roster next season. 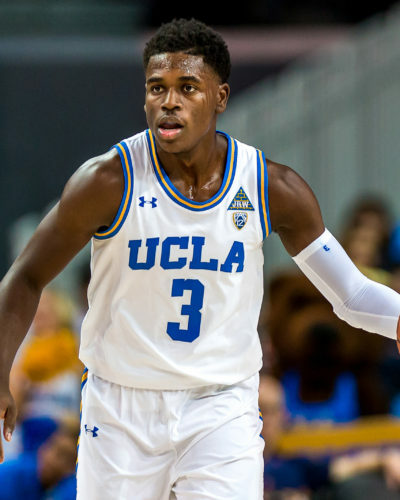 A talented all-around point guard, Holiday is a projected first-round pick in the June 21 draft and could even be selected in the teens, possibly by Milwaukee, which has the 17th overall selection. “Jrue always said that Aaron was going to be the best of all of the Holidays,’’ said a veteran NBA scout. “I don’t know about that, but he’s a very good player. Indeed, Holiday has game. He is coming off a stellar junior season at UCLA, where he averaged 20.3 points and 5.8 assists. He also vividly showed he can shoot the 3-ball — something that is essential in today’s NBA – by connecting on 43 percent of his treys last season. The only concern, although it appears to be a minor one, is that Holiday, is undersized. He was measured at 5-11¾ inches without shoes at the recent NBA Combine in Chicago. An Eastern Conference player evaluator contends the Bucks, who interviewed Holiday at the Combine, will seriously consider drafting Holiday with their top pick. The same official said he felt Holiday is every bit the equal of Shai Gilgeous-Alexander of Kentucky, who is projected as a late lottery to mid-first round pick primarily because of his upside. By the way, the last three brothers to play in the NBA at the same time were Brent Barry, Jon Barry and Drew Barry. They all played in the NBA from 1997-2000. One of the draft prospects the Bucks will work out on Friday in Milwaukee is Donte Ingram, a 6-6 forward who played a major role in Loyola-Chicago’s stunning run to the NCAA Final Four. Ingram also played his prep ball at Simeon in Chicago, where he was a teammate of Bucks forward Jabari Parker. This will mark the second time Ingram has worked out for the Bucks after having had an individual workout about two weeks ago. 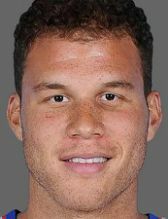 He and his agent, Keith Kreiter, have scheduled a private workout in about two weeks for several teams, with the New York Knicks and Miami Heat among them. Another player from an Illinois college who will work out for the Bucks on Friday is Eugene German, an exciting point guard from Northern Illinois, who is deciding to remain in the draft. German also worked out for the Bulls on Thursday. He has the second-lowest body fat among forwards at just five percent. Antekounmpo also was measured at 6-9 without shoes — fifth tallest forward – and weighed 194.8 pounds, which was the second lightest among forwards. 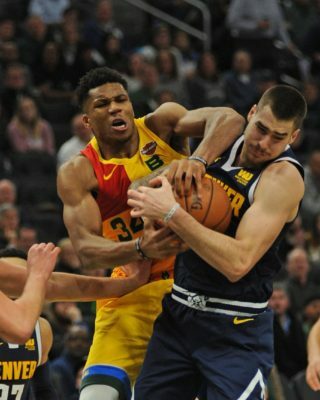 Antetokounmpo, who played at Dayton last season, is regarded as a potential late second-round choice, although some scouts contend he would be better served by playing professionally for a while overseas. Previous: TODAY’S SPORTSTAT — Will Rockets’ devastating loss be too much to overcome?